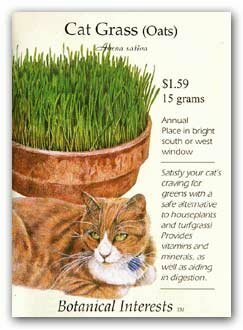 This quick growing oat grass supplies your cats with extra vitamins and minerals. Be sure to plant in a pot indoors that your pets can't knock over. This helps keep them away from your other plants, but don't let them have an unlimited supply.